How much do you know about LCD TVs? Samsung UN32N5300 1080p LED/LCD Smart TV. 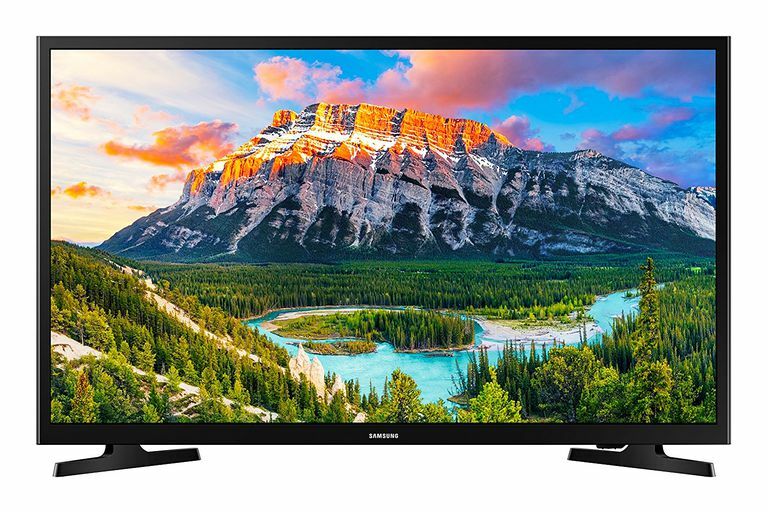 LCD flat panel televisions, with their decreasing price points and performance improvements, are now the dominant type of television being sold. However, how much do you really know about them, and, are they your only choice? The following guide will unveil the facts about LCD TVs that you need to know. An LCD TV is a flat panel television that utilizes the same basic Liquid Crystal Display technology that has been in use for some time in cell phones, camcorder viewfinders, and computer monitors. LCD panels are made of two layers of a glass-like material, which are polarized, and are "glued" together. One of the layers is coated with a special polymer that holds the individual liquid crystals. Electric current is then passed through individual crystals, which allow the crystals to pass or block light to create images. LCD crystals do not produce their own light, so an external light source, such as a fluorescent or led light bulbs is needed for the image created by the LCD to become visible to the viewer. LCD TVs can be made very thin, thus allowing them to hung on a wall or placed on a small stand on top of a table, desk, dresser, or cabinet very easily. In addition, with some modification, LCD technology is also used in video projectors. LCD TV technology is resolution agnostic. In other words, LCD TVs can be made that can display a variety of resolutions, from 480p up to 8K - and, in the future even higher depending on how TV makers want to provide consumers. It is also important to note that LCD TVs display images progressively. Vizio Full-Array Active LED Zone Illustration. Image provided by Vizio, Inc. When shopping for a new TV, you will encounter a lot of TVs labeled as "LED" TVs. There has been a lot of hype and confusion surrounding using the "LED" label on TVs. "LED". Even many marketing reps and sales pros that should know better are falsely explaining what an LED TV is to their customers. To set the record straight, the LED designation on a TV actually refers to the LCD TV's backlighting system, not the chips that produce the image content. LED TVs are still LCD TVs. It is just that they use LED backlights rather than the fluorescent-type backlights of most other LCD TVs. LED isn't the only the only label that can be confusing with regards to LCD TVs. Another label that you might encounter is QLED, which is used mostly by Samsung and TCL. Vizio, on the other hand, uses the term Quantum. What these labels refer to are TVs that use Quantum Dot Technology to improve color performance. Quantum Dots are an added layer of nano-sized particles that is placed between an LED backlight and the LCD display layer in an LCD TV. The dots are clustered in different sizes, with each size producing a specific color range when hit by the light from LEDs. The result is richer colors that can be displayed on an LCD TV screen, which is especially images at higher brightness levels. Although LCD is the core technology used in almost all TVs, and type of TV, which is not just a variant of LCD, such as LED and QLED, is OLED. OLED TVs use a technology that consists of self-emitting pixels (similar to the now-discontinued Plasma TV tech), but uses less energy and can be made almost paper thin. Each pixel can be turned on and off individually, allowing OLED TVs to produce absolute black, and more brilliant color than either Plasma or LCD. However, the main drawback is that LCD TVs can produce higher brightness levels. Although Plasma TVs have been discontinued, there are still many in use. LCD and Plasma TVs share one thing in common — they are both flat and thin and can be wall mounted. However, inside those thin cabinets, they employ different technologies to display images for TV viewing. Plasma TVs use [pixels that self-emitting phosphors (no backlight required) to produce images. The advantage over LCD TVs is that each phosphor can be turned on and off individually which produces deeper blacks. However, on the other end, Plasma TVs can't produce images as bright as an LCD TV. In addition, Plasma TVs are subject to burn-in if a static image is displayed on the screen for too long a time period. Video Frame Rate vs Screen Refresh Rate. When shopping for an LCD or LED/LCD TV, you will be hit with terms like 60Hz, 120Hz, 240Hz, MotionFlow, ClearScan, and more. However, what does this all mean, and is it really important when considering the purchase of an LCD or LED/LCD TV? What all those numbers and terms refer to is how an LCD TV can handle motion. Although LCD TVs can produce bright, colorful images, one problem they had from the outset is that their motion response is not that nature. Without some sort of enhancement, fast moving images on LCD TVs can exhibit lag or jerkiness. Over the years, several technologies have been employed that has improved things to varying degrees. However, there are techniques that are also used, such as Blacklight Scanning (flashing the backlight at a high rate) and Frame Interpolation (inserting black or intermediate frames between each actual frame. The technique used varies depending on the brand and model of TV. If you have decided to purchase an LCD TV, in addition to the core technologies discussed above there are other things to take into consideration so that specific brand and model number is right for you. Screen size and Seating Distance — TV screen sizes are getting larger, but will it fit in your room and look good at your seating distance. Viewing Angle — One of the weaknesses of LCD TVs is that they have a relatively narrow viewing angle. You get the best results at the center seating position and good results within 30 to 45 degrees on either side of that center spot. However, as you move farther to either side you will notice picture fading and color shifting. OLED and Plasma TVs are less prone to this problem. Flat Screen or Curved Screen — Although not as numerous as they were a few years ago, Samsung still makes a limited number of Curved Screen TVs, but there are things to take into consideration, such susceptibility to room glare and viewing angle. Smart TV — Almost all LCD TVs available now come equipped with at least some smart features. This allows you to stream content, such as Netflix directly to your TV without an external device, provided your TV is connected to the Internet. HDR — HDR is available on a growing number of both LCD and OLED TVs. This feature allows you to view content that has specially coded with enhanced brightness information. Sound Options — Although all LCD TVs come with built-in speakers, the sound quality is often not that good. If you find that the sound quality is less than satisfying, your best option is to connect your TV to an external sound system, be it a soundbar or full home theater audio system. All LCD TVs, except for some that come in really small screen sizes, have the ability to connect to an external audio system. While most have both analog and digital connection options, depending on the specific brand and model, only the digital connection option may be offered.